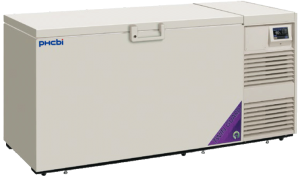 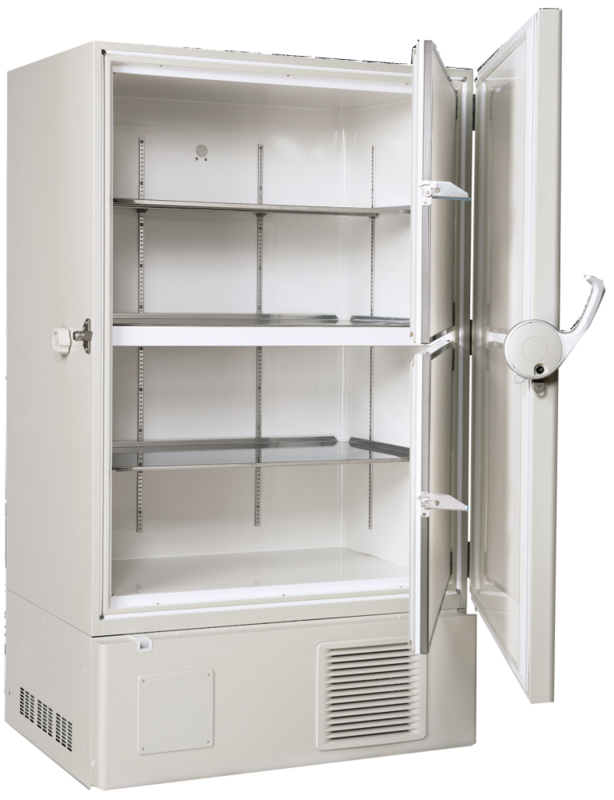 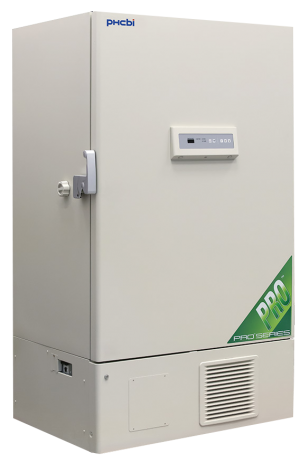 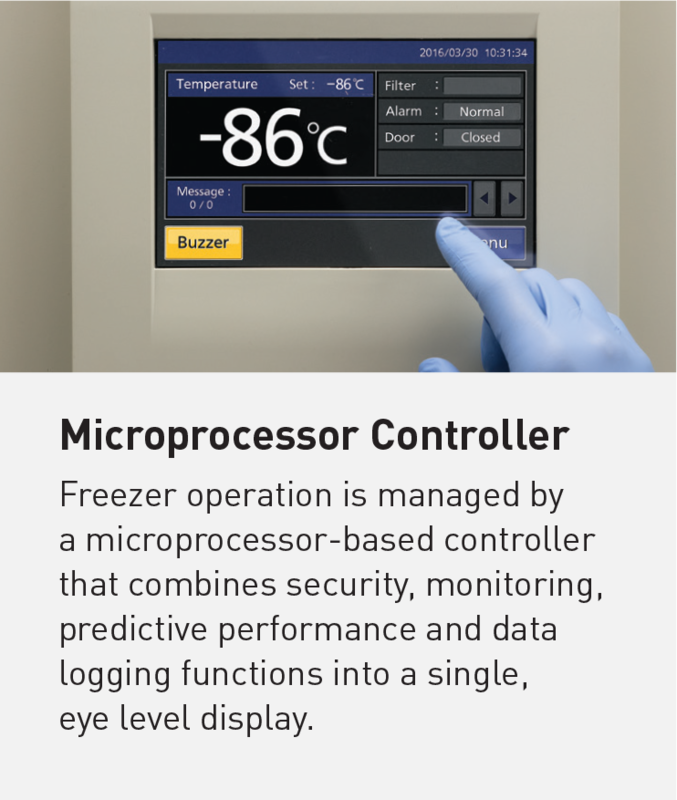 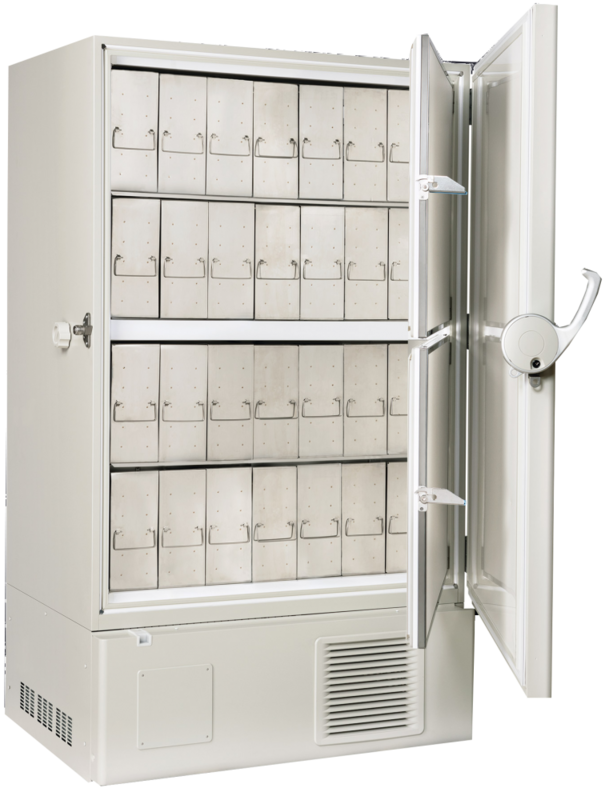 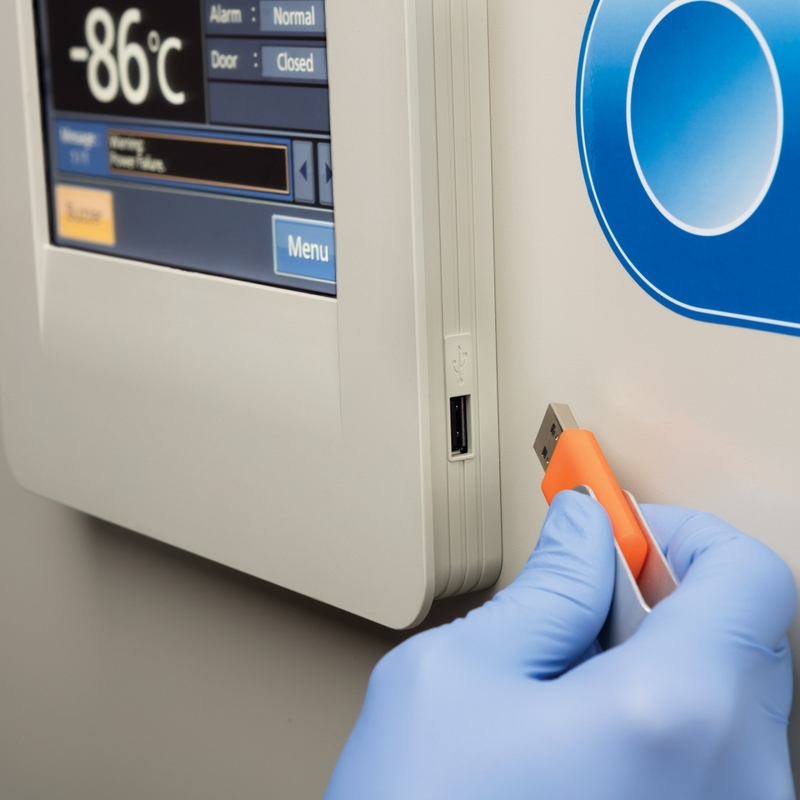 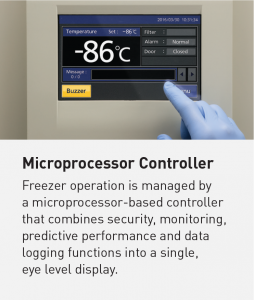 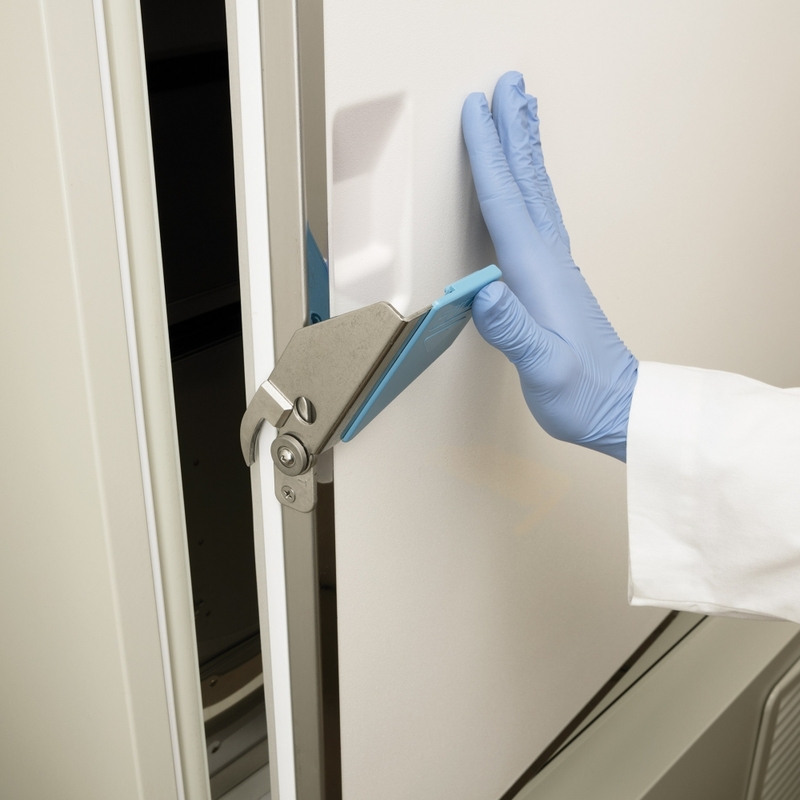 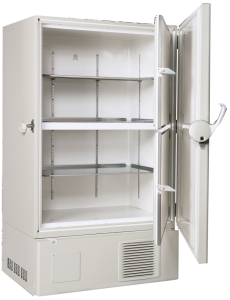 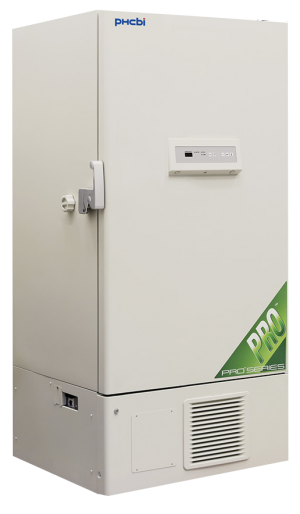 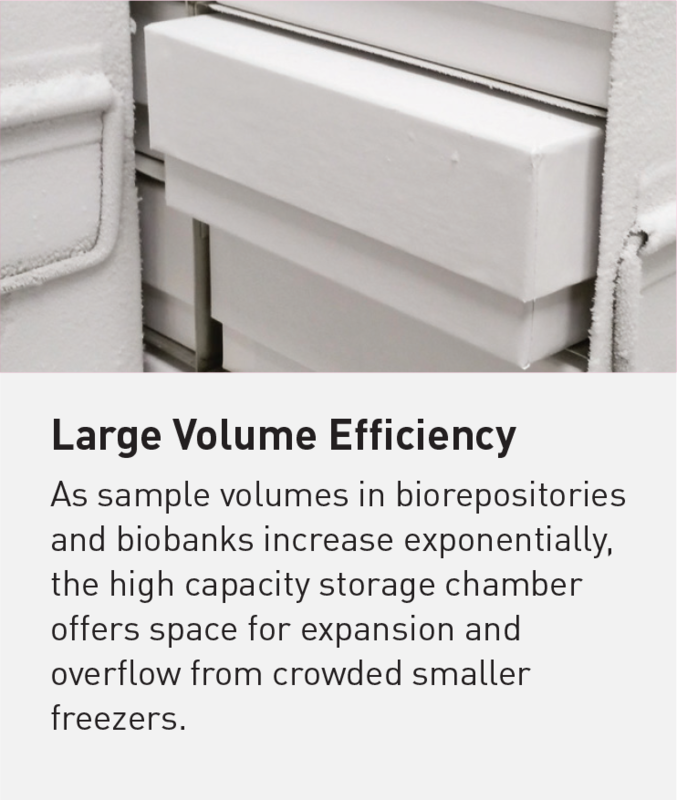 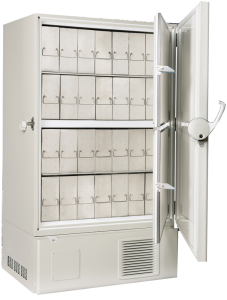 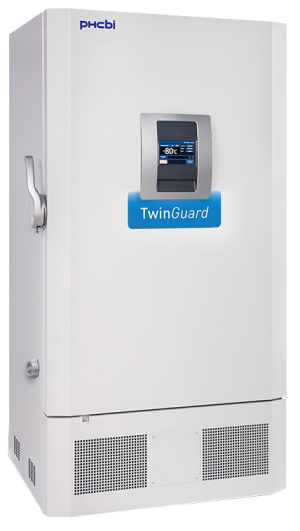 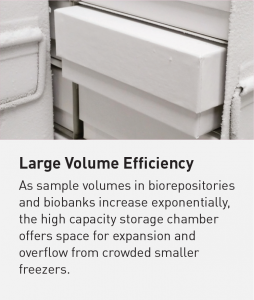 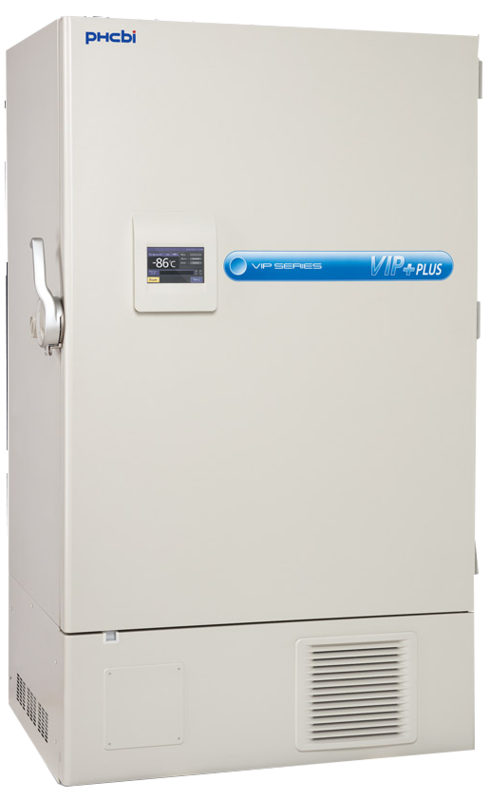 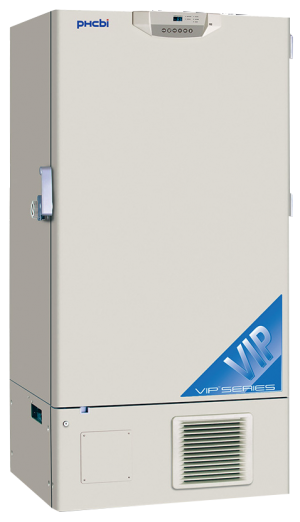 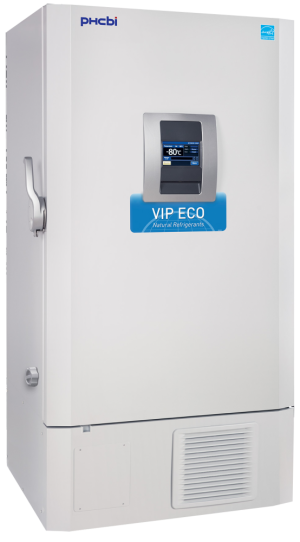 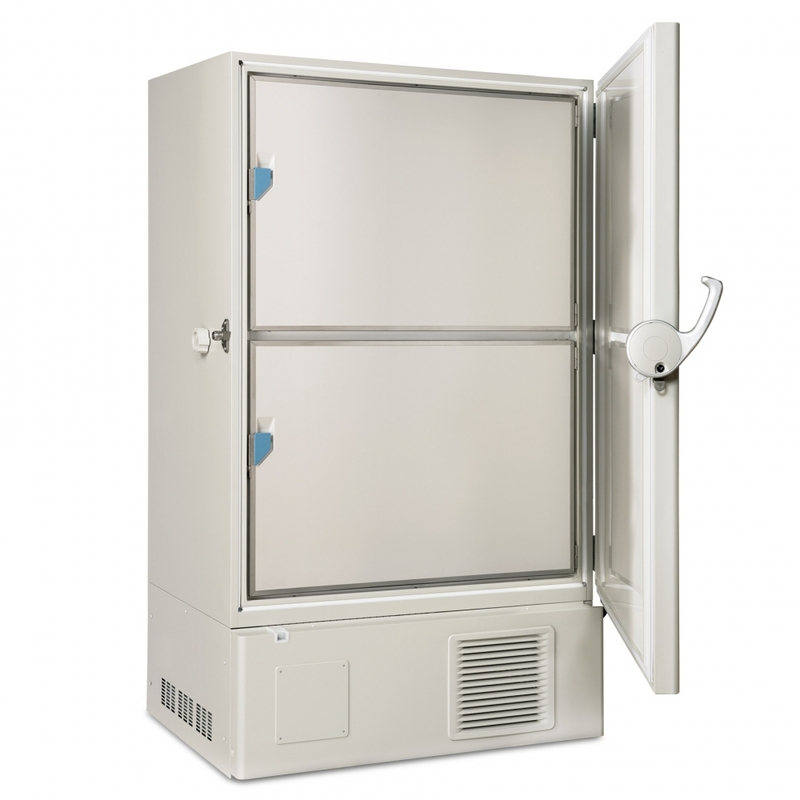 The larger VIP-Plus -86°C upright freezer from PHC (formerly Panasonic Healthcare) delivers an outstanding level of reliability and performance for optimized sample integrity. 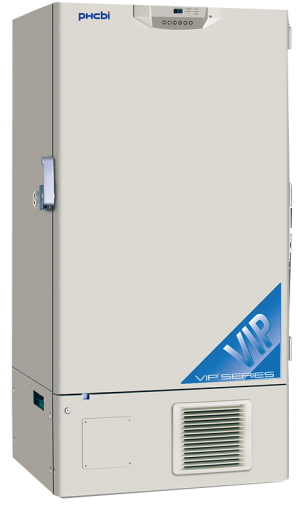 The MDF-DU900VC-PA is ergonomically designed and fitted with an intelligent touch panel for control over diagnostic and monitoring functions. 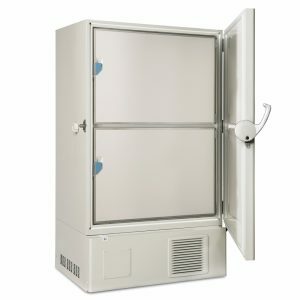 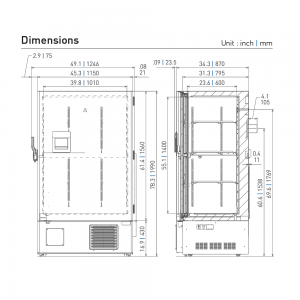 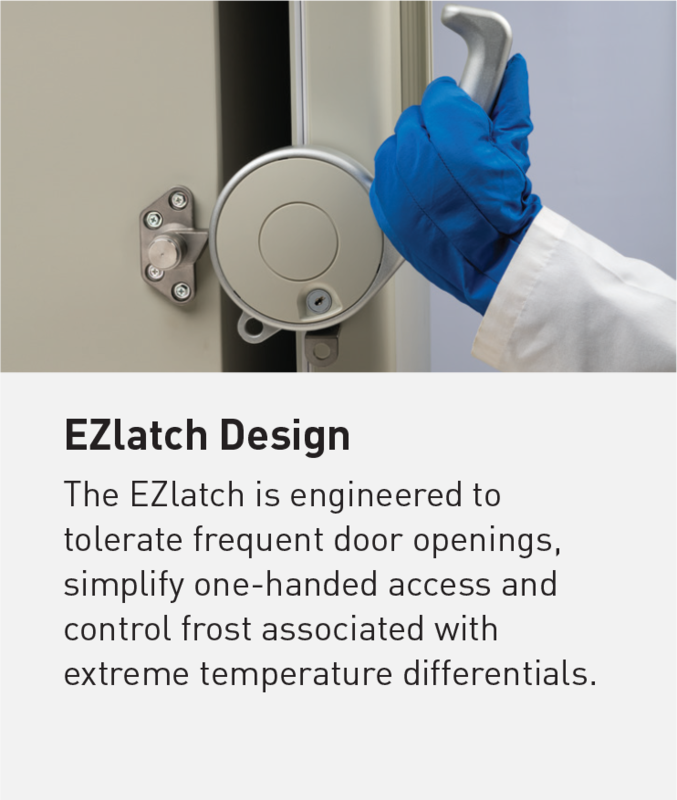 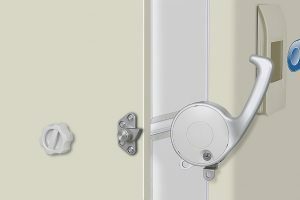 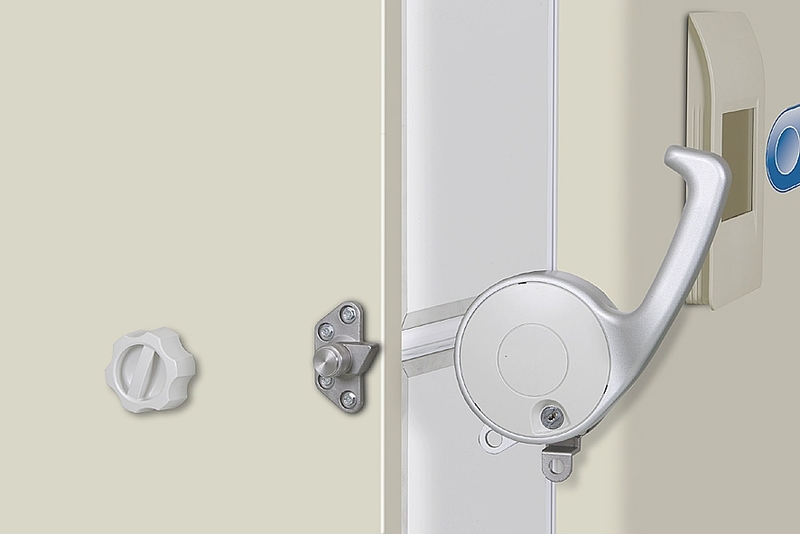 Access Port: 2, center, upper back wall and back left chamber floor, 0.6"
(Optional) Freezer Racks and Inventory Systems.